The City of Johannesburg relies on its residents to log service delivery failures so that it may have the opportunity to attend to them. If issues are not logged on the City’s service delivery systems, the entities are likely unaware of the breakdowns and until you report them, the breakdowns may remain unresolved. 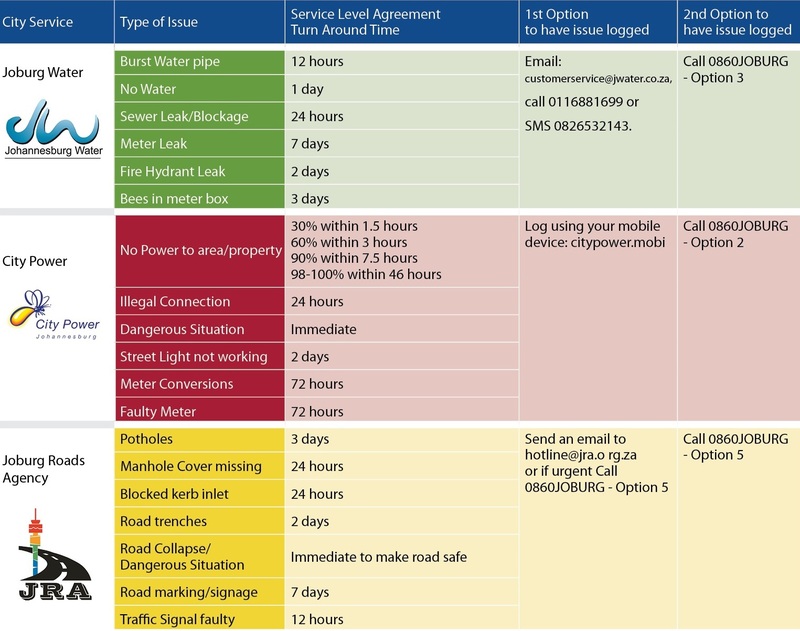 The Look and Log guide is a cut-out-and-keep guide for all your logging needs as a City of Johannesburg ratepayer. 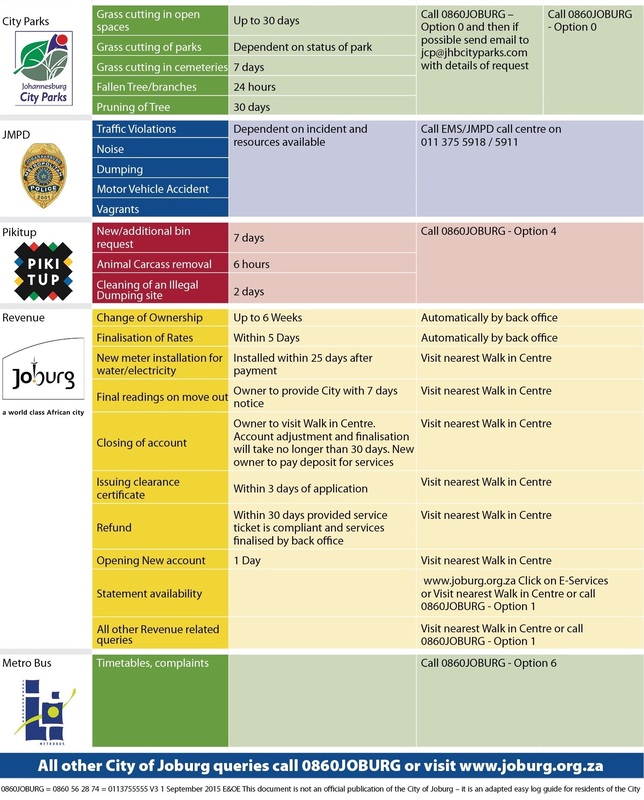 As active citizens that live, work and play in the City of Johannesburg you need to get involved and LOOK AND LOG in order to hold the local government officials accountable for service delivery. The Councillors in the City of Johannesburg serve as the interface between the citizens they represent and the municipal officials who design and implement development polices. The councillor’s job is not just to serve as the voice of the people, for the expression of their community needs, but also to act as a watchdog and ensure the municipality implements policies to address the needs of citizens. It is therefore important that should issues you log not be adequately addressed, such be brought to the attention of your local Ward or PR Councillor. Download a copy now, print it out and keep against your fridge! – Look and Log Guide. Once you have lodged your complaint with the City, please add it to the MRA Database so that we can keep track and consolidate it.